Looking for a memorable Indian travel experience? If so, travel to the western state of Gujarat in India. A mesmerizing mix of color and unconventional beauty, Gujarat is an experience you will love to cherish. 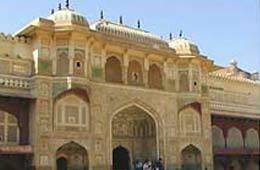 In order to make your trip all the more interesting, we at Indiaprofile.com have some well-designed Gujarat tour packages for you to choose from. Encompassing the best of what Gujarat has to offer, our tour packages have been designed keeping all traveling requirements in mind. What more, these Gujarat tour packages can easily be customized to suit all your other preferences. Besides, it is always convenient to have your itinerary planned out, thus ensuring a hassle free trip to speak of. Out tour packages for Gujarat include accommodation at comfortable luxury/mid range/budget hotels besides guided tours and transportation arrangements. Moreover, the attractive price tags our Gujarat tour packages come with also ensure that you get good value for your money. Right from its festivals to its rich history, Gujarat truly delights the senses. So come and explore Gujarat that is also one of the most industrialized states in India. Avail one of our Gujarat tour packages today and brace yourself for a tour to remember.